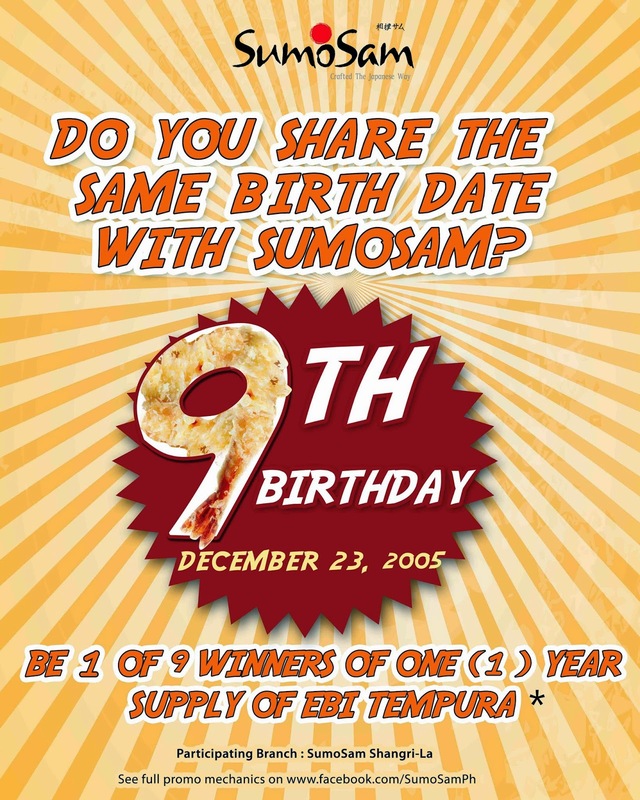 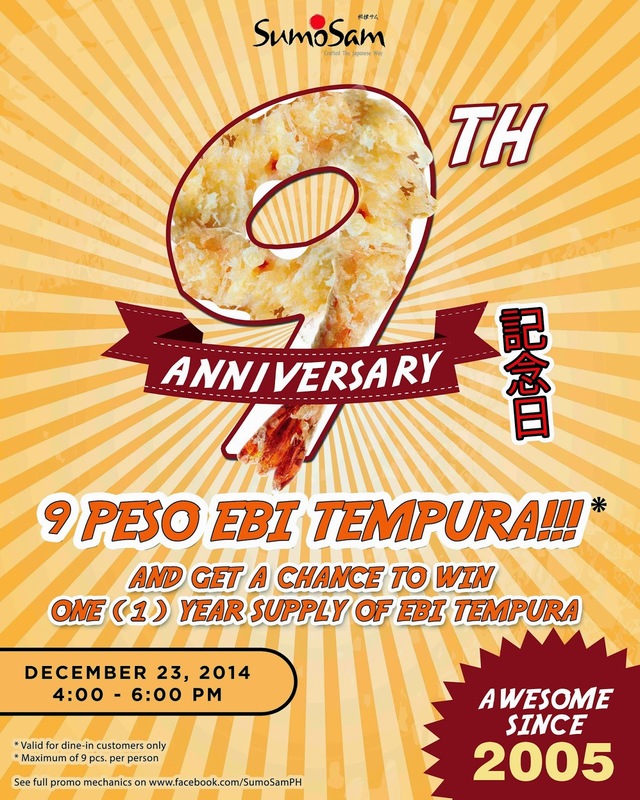 [i am a dekaphobic]: Sumo Sam 9th Anniversary Promos! 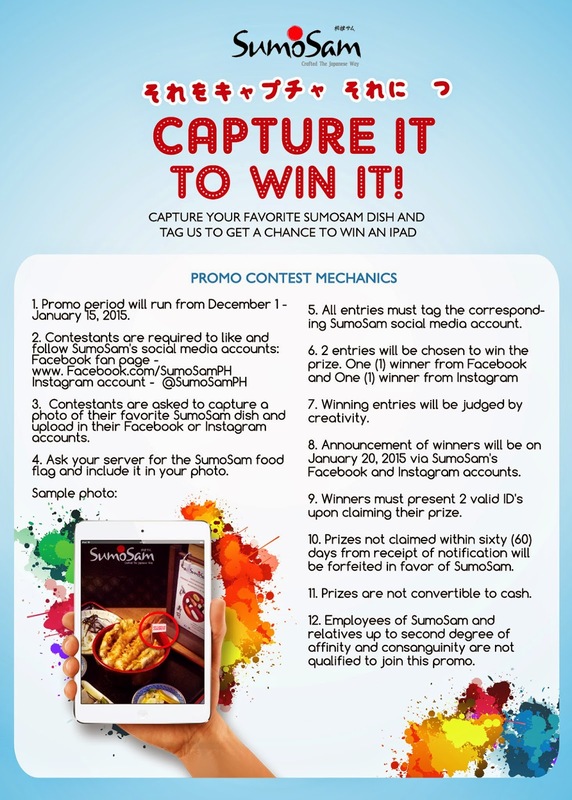 Get a chance to win an iPad! 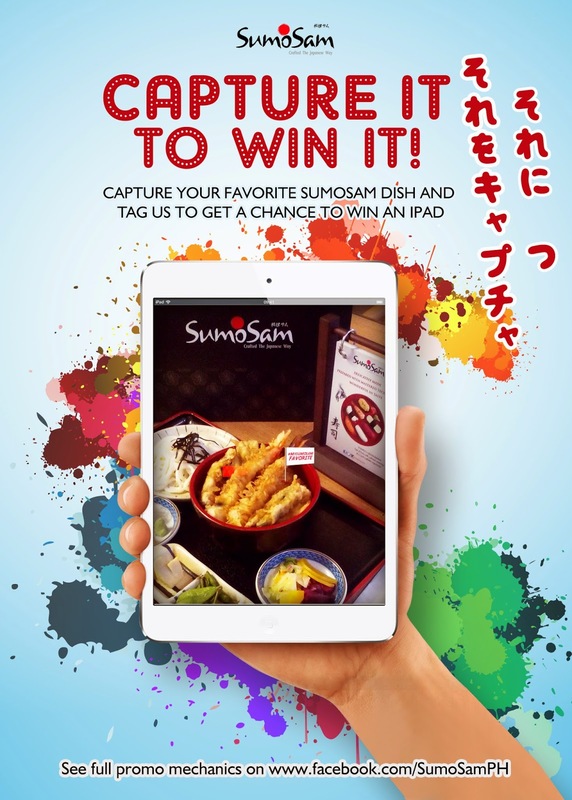 Take a photo of your favorite SumoSam dish, upload it on Facebook or Instagram, tag SumoSam (FB Page or Instagram') to join! 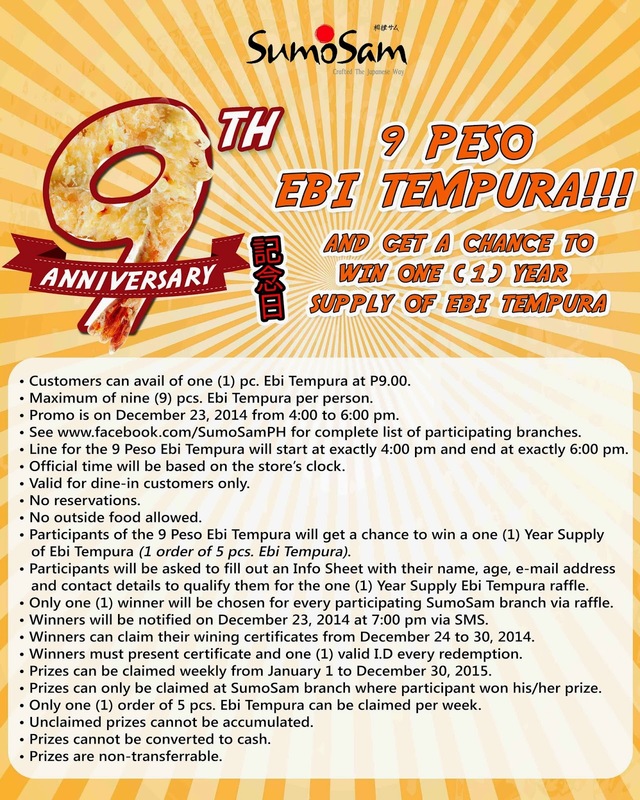 Promo is from December 1, 2014 to January 15, 2015. 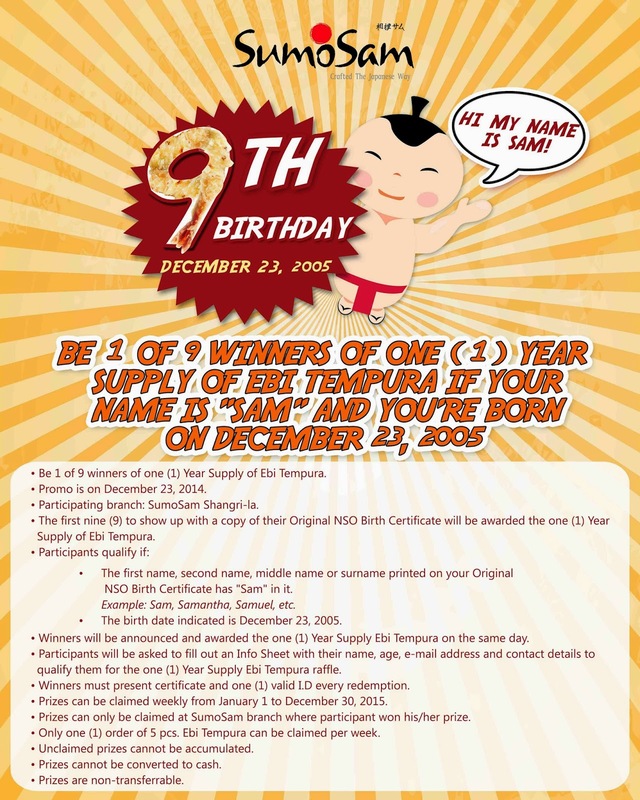 2 entries will be chosen: one (1) winner from Facebook and one (1) winner from Instagram.